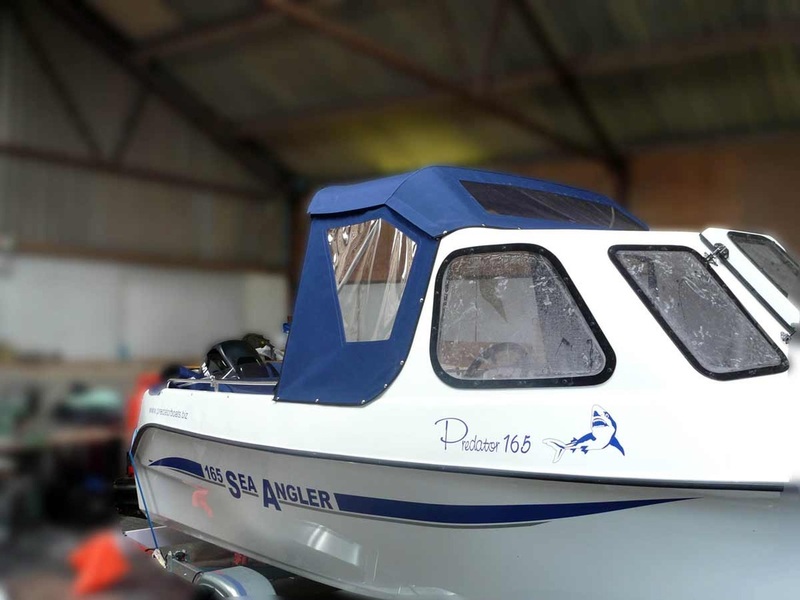 ​We have patterns for most Seahog Boat models including the Hunter, Shortie, Trio, Sea Jeep, Trooper, samurai, Commodore and Alaska 500 as well as Predator and Endeavour Fishing boats. 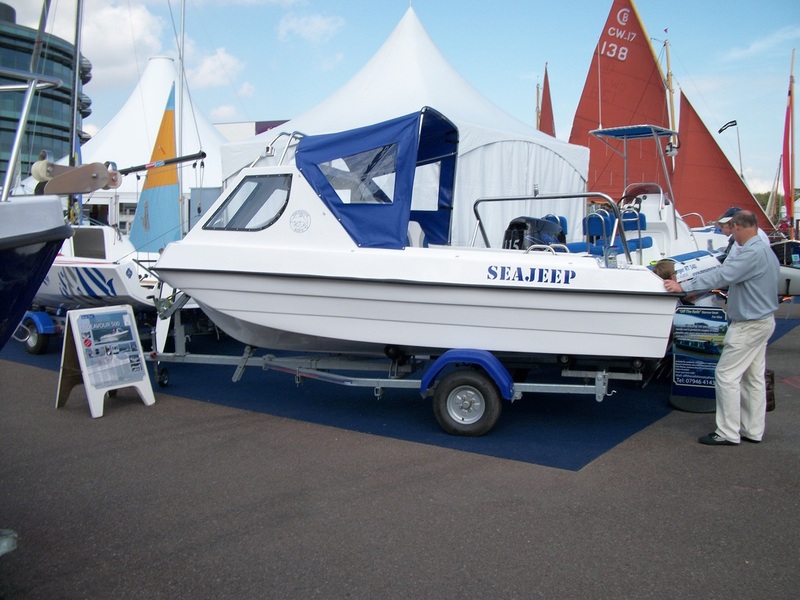 The most popular types of covers we offer for fishing boats are listed below. If you have a bespoke requirement please give us a call to discuss details and we'll do our best to advise and accommodate your wishes. A simple cover which secures the cockpit area. 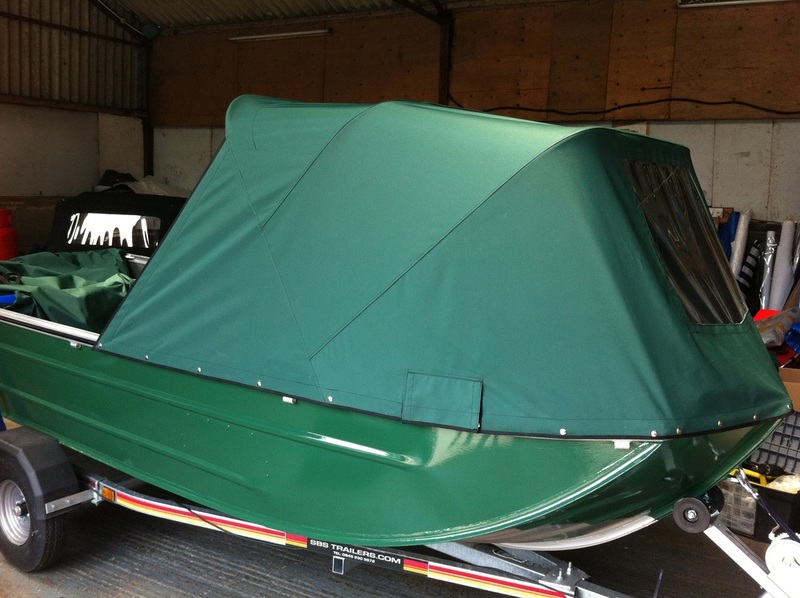 Essential for keeping out the weather and prying eyes; can be used for storage and whilst towing. This example is equipped with added air vents in the sides to allow airflow through the cockpit when the boat is covered. This helps to keep the interior extra dry and helps to alleviate problems associated with enclosed, moist environments such as condensation and mildew. This is highly recommended when a non-breathable fabric is used. An extension of the cuddy using a tubular framework providing extra shelter at the helm. 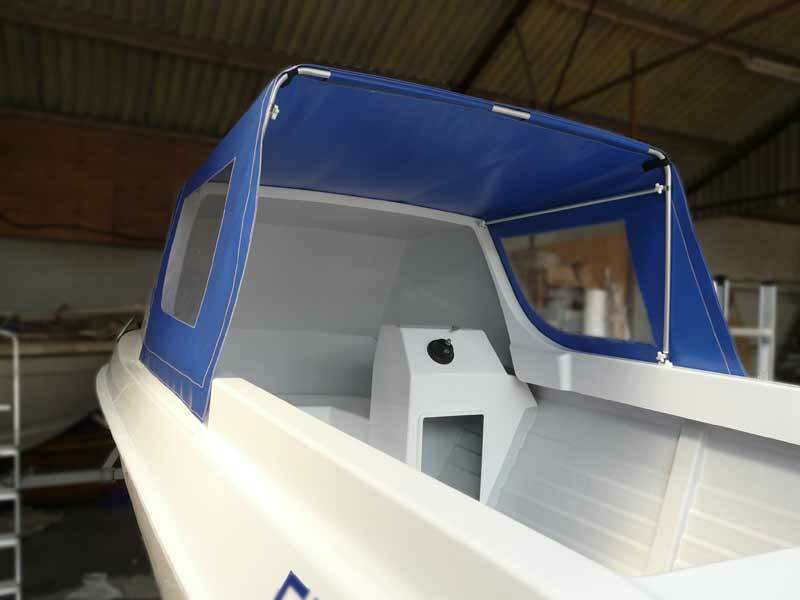 The canopy can be made to come off the top of the cab as shown in this picture or off a windscreen. 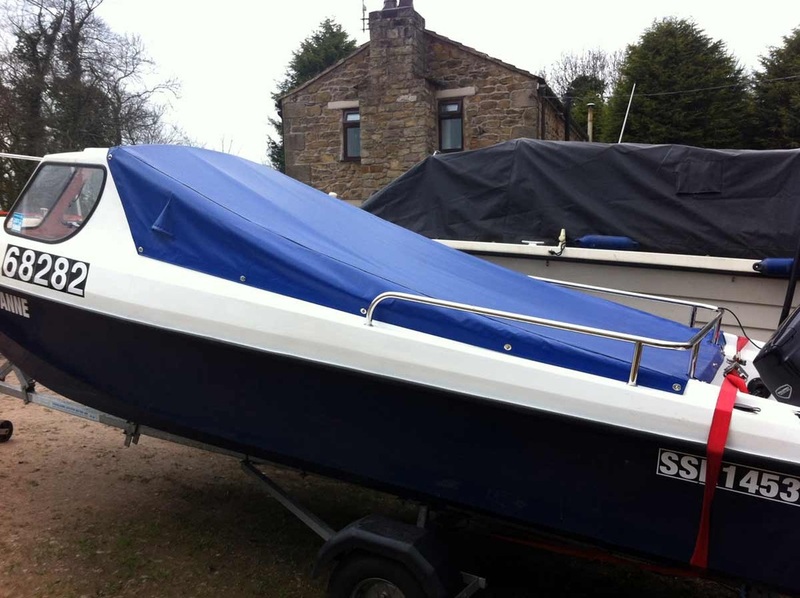 This is a complete, removable collapsible cuddy for use on an open flat fishing boat. 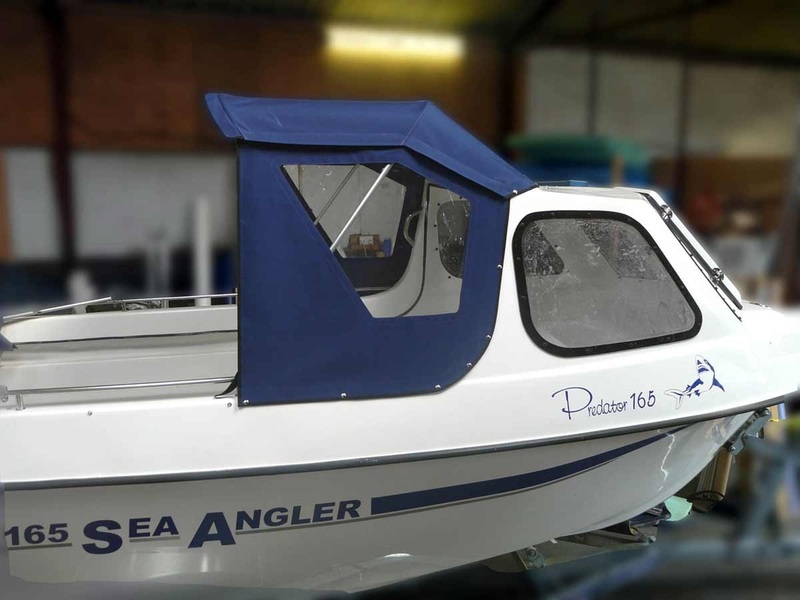 A further option includes adding an attachable aft cover to completely enclose the boat; ideal for those hardened "overnight" fishermen! Click here to see a gallery of folding cuddies. 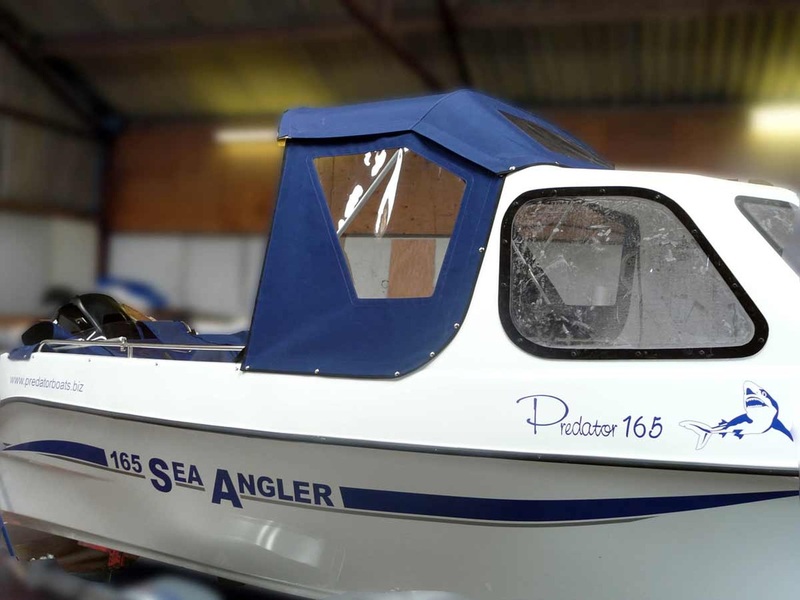 This is the "Rolls-Royce" of fishing shelters. Currently available for the Predator 165 this fishing canopy/enclosure combo effectively provides 4 covers in one from a simple sun shade over the helm to a complete cockpit enclosure. 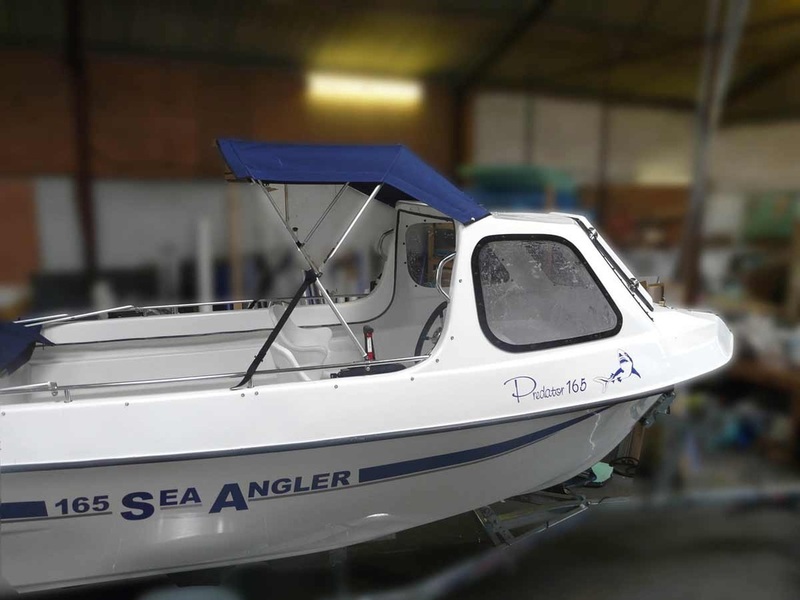 If you are simply looking for a fishing canopy without the full enclosure then this is available as shown in the pictures below. 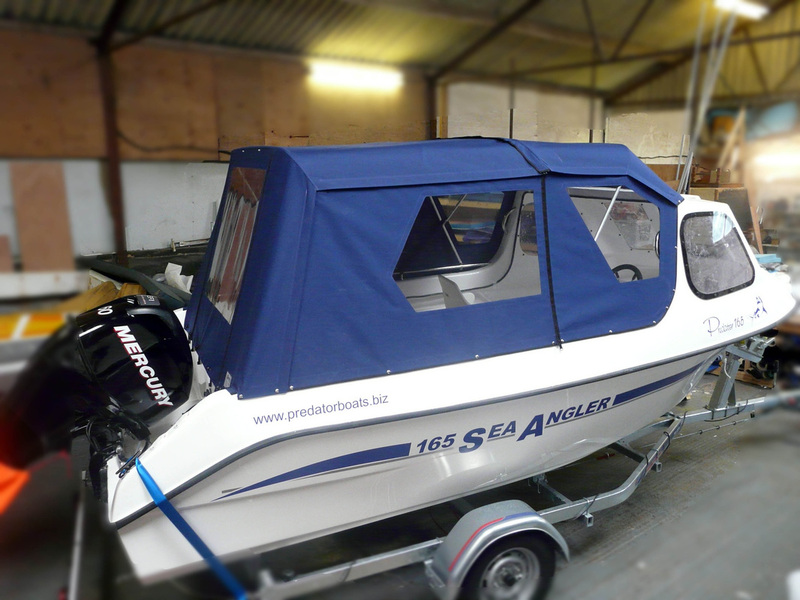 Click the gallery images below to see how flexible this type of canopy can be.